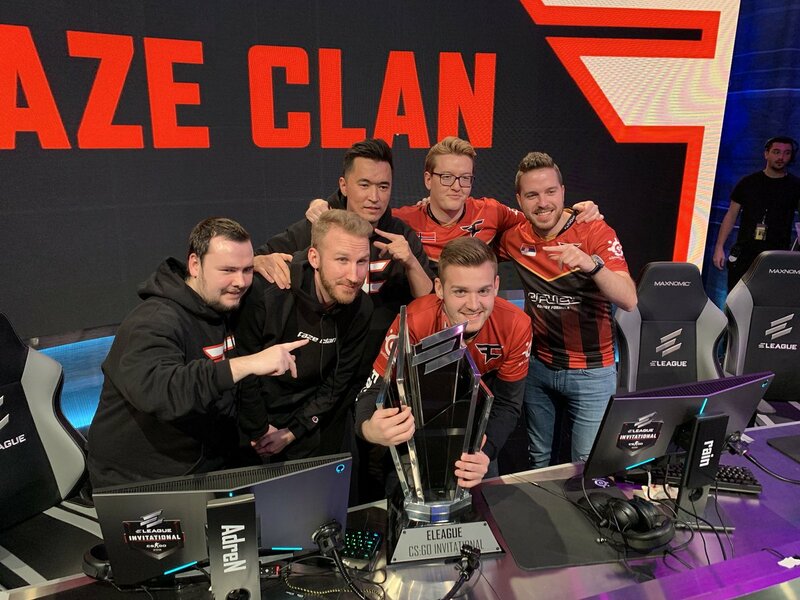 Faze Clan has secured the top spot at Eleague CS: GO Invitational 2019. The International team recently made a few roster changes when they brought in AdreN and YNK as their coach. The Eleague CS: GO Invitational Grand Finals started on Mirage with Cloud9 establishing their dominance with a 16-3 victory. It was a clinical finish after a very strong CT side. Faze was unable to find entry frags anywhere in the map and were often trailing the North American squad. Flusha, Autimatic and Kioshima were exceptional in their holds often against multiple enemies on their bomb site. The second half did not offer much hope for Faze Clan as Clioud9 was able to close the map and take a sizeable lead in the series. The second and third maps, however, saw a revitalised Faze Clan. Inferno brought back memories of Olofmeister as he was able to run through the Cloud9 lineup. He was mostly playing the rifle but even with the AWP, he was extremely potent. The following clip shows him getting three kills despite being at 1 HP. Faze Clan did make mistakes, however, in the end, they were able to ruin the Cloud9 economy and win the map. The final map was Train. We saw Guardian making insane AWP plays on this map and he finished the map with a +25 KDA. In fact, he died only 9 times throughout the map. Cloud9 never looked as if they were about to make a comeback on this map. The Eleague CS: GO Invitational ended with Faze Clan taking the majority of the prize pool. Faze Clan won $80,000 while Cloud9 take away $40,000. The teams now move to prepare for the upcoming IEM Katowice 2019 event.